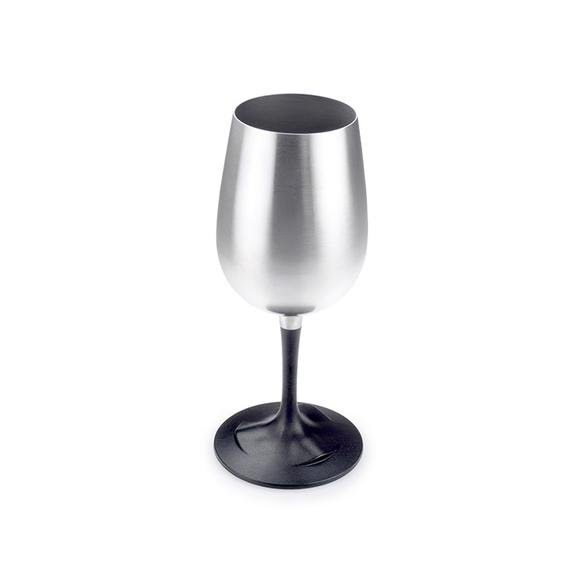 Stay classy on your next camping trip with the Glacier Stainlees Nesting Wine Glass from GSI Outdoors. This glass is designed with a base that snaps into the rim for effcient packing and storing. Measurements 3.00" x 3.00" x 4.60"